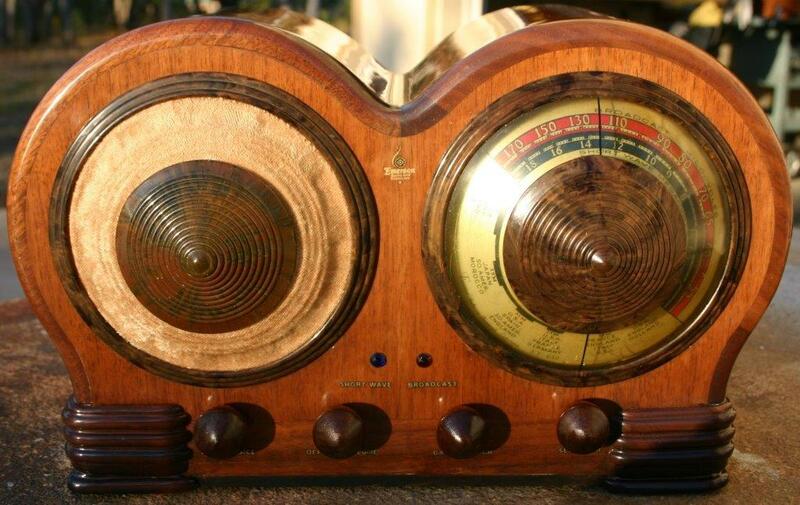 RUSS' OLD RADIOS - Repair and restoration of vintage radios and electronics. Expert technician completes all work. however, we will be keeping this site up; we've had many requests to do so. We began this smaller version, anticipating the change from a business. Our focus now is to continue to support the museum and promote interest in antique and vintage electronics in Southern Oregon. We will continue support for the many restoration questions we receive via the contact form. We will continue to offer radios and projects for sale, primarily overflow/duplications from the museum and, are still interested in trades or parts/tubes. If you are ever in the area, contact us via the contact form. 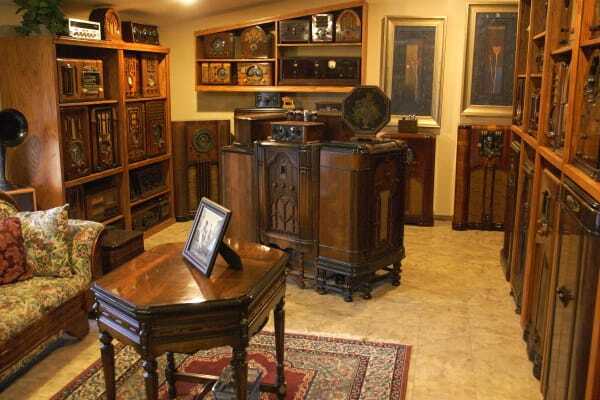 Drop by and see the Old Radio Museum-get a free tour! 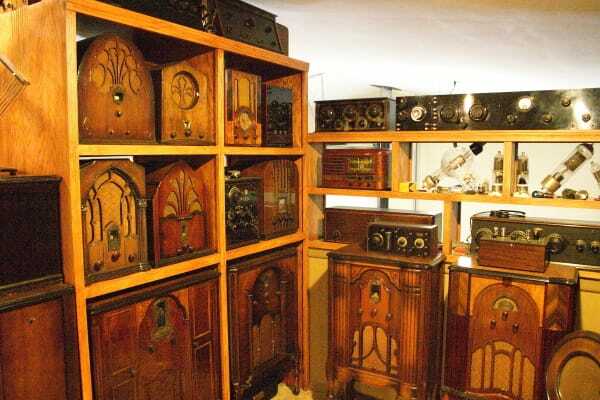 ALL RADIOS IN THE OLD RADIO MUSEUM HAVE BEEN COMPLETED RESTORED AND WORK. About 25% of them are in cabinets with the original finish. Be sure and visit the BLOG section for the most current projects, pages and pages of radios, chassis and stuff, videos and more. 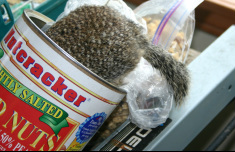 I frequently update the BLOG section. Have a Seat, Make Yourself at Home. Russ Webb is a professional electronics technician (retired) with over 35 years of experience repairing two-way radios, telephone switching systems, cellular and microwave equipment. He has been recognized and awarded numerous certificates of leadership and excellence. He has actively pursued continuing education to keep up in his chosen field, however his real passion is tube type electronics. He began repairing vintage radios while in high school. Over the years, repair evolved into restoration. 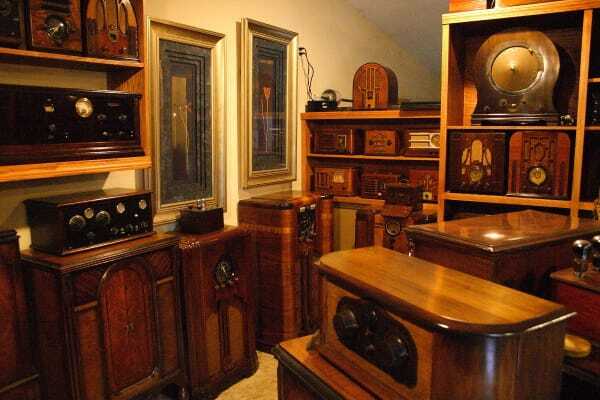 He renovated so many early electronics--at his wife's insistence--he created Russ' Old Radio Museum, a 1000 sq. ft. section of the radio repair shop, where sounds of the Big Band Era welcome visitors. 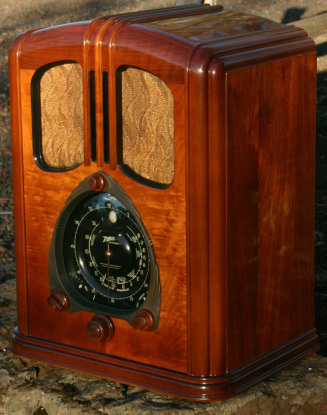 The Old Radio Museum displays painstakingly restored works of exotic woods-- birds-eye maple, walnut, mahogany, elm and others not seen today. He has also completely restored each radio's electronics. Every radio works! 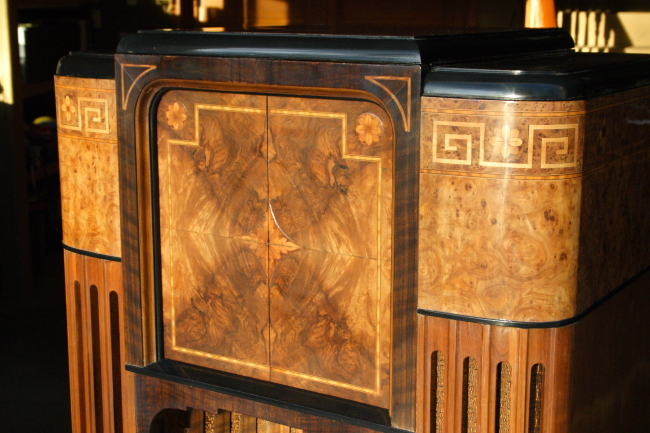 (See the sections on cabinet restoration and chassis restoration.) 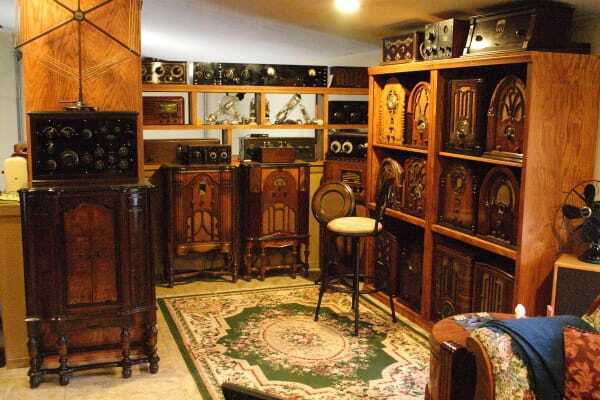 Unfortunately, the Old Radio Museum has only so much space; at times we must part with a few. Please take a look at our FOR SALE page offers (drop-down boxes). 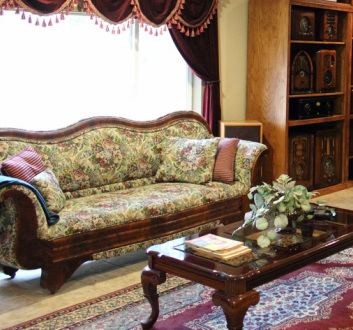 This is a rare opportunity to welcome a beautifully restored piece of history into your home. 1931 Airline Gloritone 105-106 "The Birdhouse"
After a complete electronic overall, he begins restoring the cabinetry. Russ has an eye for detail and nuance; his artistry speaks for itself. The story of this Zenith Stratosphere is now posted in the BLOG.